When the Thesis was launched in 2002, Lancia wanted a flagship to re-position the brand as a maker of convincing luxury cars, an Italian Mercedes if you like. The Thesis’ predecessor, the Kappa, had been less successful than the Thema, despite receiving plaudits for its refinement, packaging and capable chassis. The Thesis was supposed to recover ground lost during the Kappa’s production run and also to re-affirm the company´s tradition of top-drawer refinement and visual elegance. Not so much has been written about the Thesis so I decided to see for myself what the car was really like and to find out why only 16,000 were sold during a seven year production run. Technicalities: The construction of the Thesis was fairly conventional: a transversely mounted engine driving the front wheels. Given that the Thesis was intended more for comfort than handling the selected arrangement is, objectively, a rational one. Lancia’s reasoning was probably the same as Rover’s: most people are indifferent as to which axle is receiving the power. A 2 litre soft turbo, a 2.4 litre 20 valver and a 3.0 V6 24 valve engine made up the petrol burning range. A 2.4 JTD diesel was also available. The suspension design was a mix of the ordinary and the clever. The routine elements consisted of independent five-link suspension with coil springs. The intention behind this set up was to minimise the distance between the wheel centre and the virtual steering axle to the advantage of accuracy and crispness. At the rear were installed multiple-arm suspension elements, designed to provide a good capacity to absorb impacts. In essence, these were just incremental improvements on the theme of multi-link suspension. All the same, I do like the idea of bringing the wheel centre and steering axle together as these kind of refinements were what made Lancias steer so well in the ’70s. The clever part was the use of telescopic Skyhook adaptive dampers. These gadgets allow semi-active suspension in that the damper rates can be varied by computer management to suit the driving conditions and driving style. All this was done with microchips smaller than your thumbnail. A similar system is used on the Maserati Spyder. These specifications were class competitive but don’t compare to the originality of Lancia’s 1963 Flavia: transverse leaf springs and double wishbones at the front and dead axle and transverse leaf springs at the rear, supporting a front-wheel drive four-cylinder boxer engine. The Flavia’s peers were at that time using straight sixes and eights sending power to the rear. The point here is that the differences between the Thesis and its peers are not insignificant but not very great either, and the chassis design was nothing like as ingenious as its ’60s ancestor. The Thesis weighed from 1600 kilos for smaller engined versions to 1800 kilos, as in the 3.0 V6 tested here. 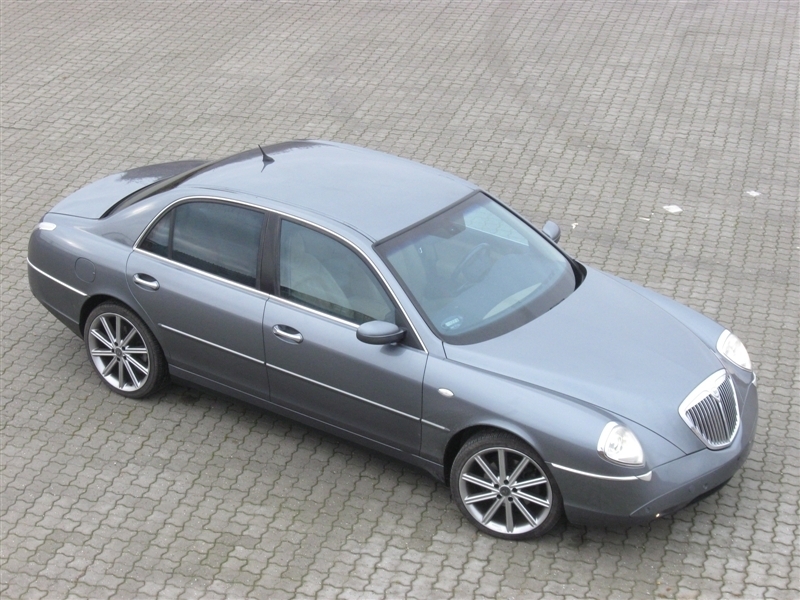 By way of comparison, the 1999 Mercedes S-320 weighed less, having 30 kilos fewer to drag along. Given that the Thesis is smaller in most dimensions than an S, it was thus a conspicuously dense machine. Being 4888 mm long and having a front drive format meant the passenger compartment was spacious, with plenty of room in every direction. The boot holds a competitive 480 litres. Whilst the chassis and power train of the Thesis were quite conventional, Lancia was in some sense leading the way by encrusting the mechanicals with a dizzying superabundance of extra equipment, digital trinkets and electric novelties, more than one could list fully in the space allowed. The 3.0 litre tested was equipped with integrated satellite navigation (a novelty in 2002), an automatic gearbox, electrically-powered automatic parking brakes and four-way adjustable climate control. This can send chilled air through lushly damped louvres on the elegantly sculpted dashboard and through vents in the b-pillars. 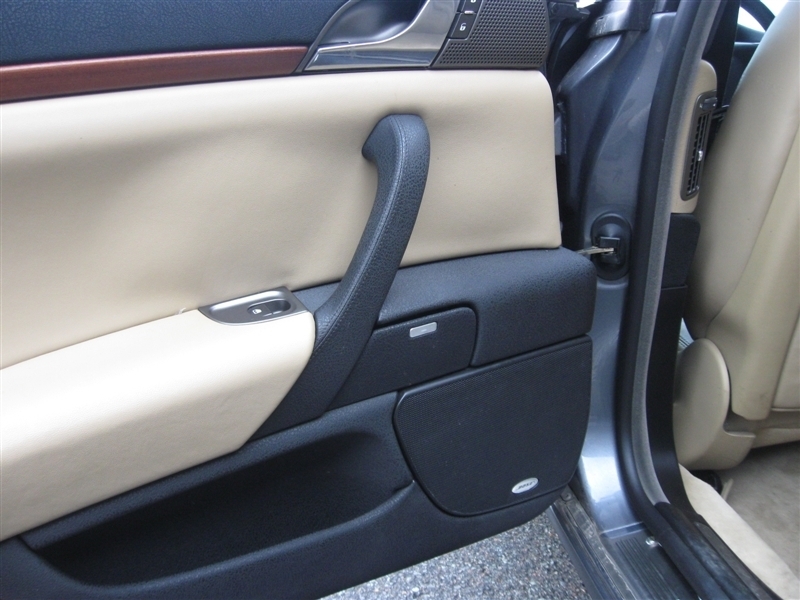 In addition, subtle perforations in a metal strip across the dash allow draught free ventilation. Almost everything is powered apart from the front sun visors and the minuscule front ashtray. The multi-adjustable seats could be set to memorise the driver’s postural preferences. Servos even operate the front head restraints. This in itself is a wonderfully unnecessary refinement and speaks volumes about the painstaking efforts to create a truly luxurious saloon. 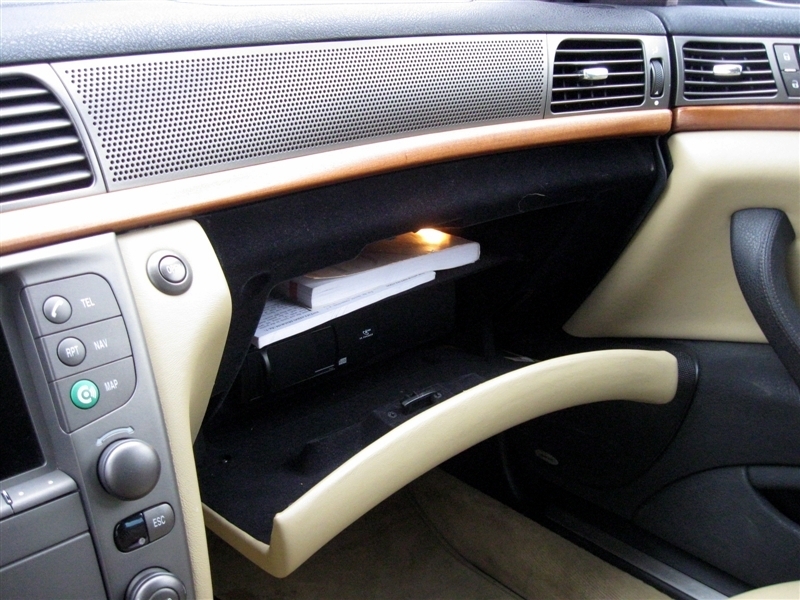 The glove box opens with the push of a daintily chromed button (but amusingly, the glove box itself won’t hold more than a few packs of cigarettes). A power operated sunblind performs impressive acrobatics: simply dab a switch on the rosewood veneered centre console. It’s worth pausing here to consider that engineering that sunblind probably involved a team of six engineers at a cost of several hundred thousand euros. Naturally, the boot lid is power operated, requiring merely nudge of a button to open and a slight push to close. Exterior: The vehicle exterior is dominated by the gloriously confident Lancia grille, evoking the firm’s past triumphs. The diamond shaped headlamps are powerful Xenon units. Both the grille and the headlamps are set amidst quite large expanses of unadorned metal work. The intention, according to Lancia’s designer, was to create the impression of glittering jewellery. The rear lamps – striking vertical slashes- are painfully intense and are simultaneously nostalgically chrome edged and ultra-modern with the LED technology. The theme then was of evocative classicism underpinned by the latest in automotive technology. All the panels were joined tightly and the vehicle was well surfaced, apart from an odd depression where the wing to bonnet valley fades into the plastic bumper. Interior: I’ve mentioned the features but I haven’t described how they all work together. It’s no use loading a car with toys if they are not well assembled or made of the best materials. Are they? 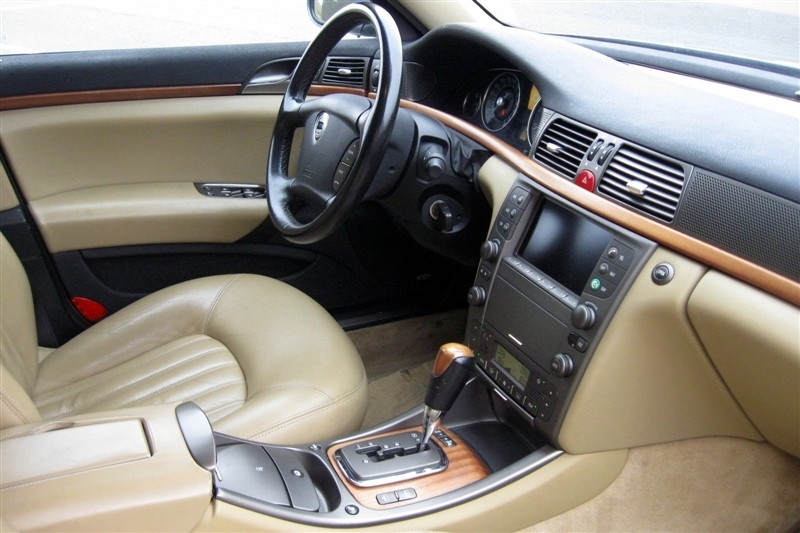 The Lancia’s interior uses leather, metal, wood and the finest plastic. And they are handled well. The interior is well sculpted and classic without being too retro. The wood strip gracing the dashboard and doors is thick and very evidently real tree. It’s the kind of substantial slab of wood not seen since the solid door capping on 1970’s Ford Granada Ghia’s. All this adds up to lashings of comfort, warmth and quality. It is an effect very, very different from the cold, hardness achieved by Mercedes and Lexus. Even a Jaguar XJ seems a bit glacial in comparison while the similarly priced S-type is embarrassingly Crown Victoria. The driver’s seat – hand stitched parchment hide- is beautifully supportive without being too firm. The Thesis passes the door slam test, by a factor of five. Pulling the door shut required a well-judged degree of effort, just enough to make you notice the heft. When the door clunked home it felt as if each element of the closure was machined to a fine tolerance. It made me think of a Mercedes 300 SEL 6.3, in fact. In front of the driver is a classically styled instrument pack. The lettering is redolent of the labelling on a bottle of fine Italian wine and indeed it’s all in Italian. Rather surprisingly, there is an analogue gauge to display fuel consumption, scaled from 6 litres per 100 km to 20 litres per 100 kilometres. It isn’t more readable or effective than a digital LCD display but it is incredibly amusing as it sweeps from left to right like a deranged pendulum. The rear of the car is a similarly fine place to reside. The legroom is plentiful, more than enough to sprawl out during a long trip from Rome to Cap Ferrat. The centre console features the display and buttons for the climate control so while the driver might require 17 degrees, passengers can opt for more or fewer independently. The stereo system can be operated by a remote control unit. 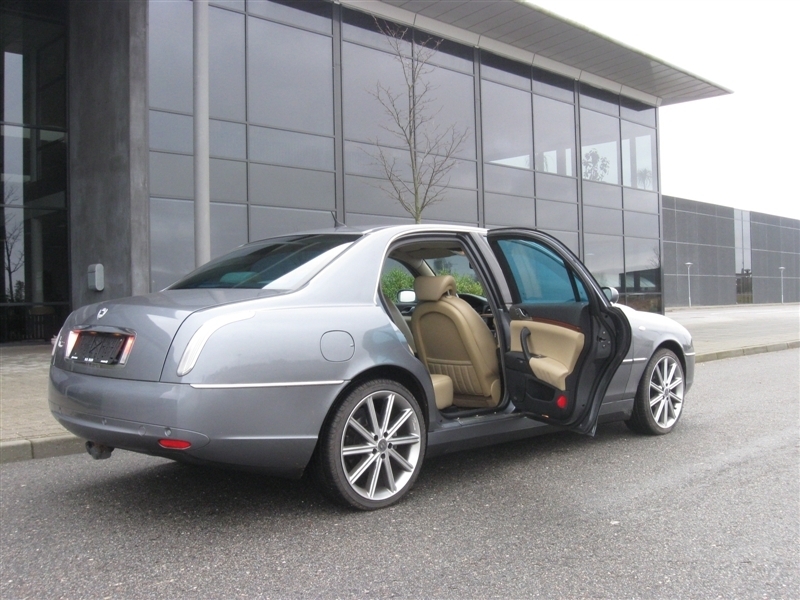 Each of the finely trimmed doors has an ashtray of pretty respectable size and the door cards are unusually handsome, made of precisely the same high quality materials as those at the front. In short, whether you’re up front twirling the steering wheel or being cossetted in the back, the Thesis is a terribly agreeable place to find oneself. In motion: We’re 1200 words into this review at which point it really does become very necessary to start revealing what the Thesis is like to drive. Putting it very bluntly, the Thesis is singularly unobtrusive, resembling nothing so much as a really talented butler. I drove the car in a variety of different modes, ranging from tasteless dashing along narrow country lanes at one extreme and, at the other, driving like I had a hung-over primo ministro slumping in the back. Whatever it is asked, the Thesis does what it is told. If you stamp on the accelerator pedal, the vehicle takes a tiny pause and then leaps forward. Very little vibration is felt and little noise heard. The Skyhook suspension coupled with the sheer weight of the car do a remarkable job at smothering bumps and potholes. The ride is impressively smooth without being floaty. Bad surfaces are simply ignored by the Thesis while changes in direction do not provoke annoying body roll. This is comfort-orientated suspension that respects the needs of handling to a commendable degree. Presumably the benchmark for Lancia was Jaguar not BMW. With an automatic transmission, there was little to do but steer and brake. And the steering is pleasantly light, quite direct but not nervous and the car had a crisp bite to the turn-in. Of torque steer there was no sign. At the same time, the steering had no positive character either, being more a collection of elegant neutralities. I wanted to notice the steering character rather than to notice I could not detect anything either way. That’s my problem though, not Lancia’s. Like the good butler, it is keeping its personality, its means of operation, completely hidden. When confronted with a sharp corner, it was best to brake, turn and accelerate again. The Thesis is not a go-kart. But the Thesis felt controllable and if you really had to cover 100 kilometres using b-roads, the car would do it without complaint. But at no point would you feel as if you were in physical contact with the car’s mechanical core. That kind of road testing is, in the end, rather pointless except to say that the Thesis, could in extremis, make a good fist of getting you from Zurich to Lausanne decisively ahead of schedule, even if you avoided the motorways. But if driven as intended, the Thesis as a car simply disappears for both driver and passenger and instead the wealth of creature comforts come to the fore. In the end, the Thesis is a means not an end in itself. 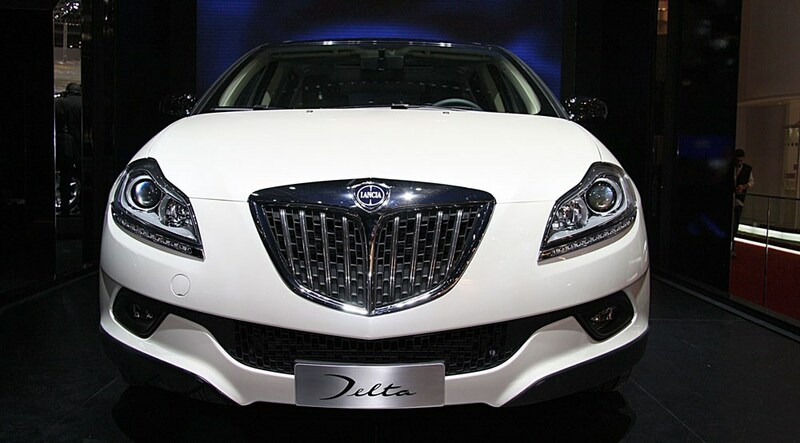 I’ve always said that if Vincenzo Lancia was still around he’d be making Lexuses (or do I mean Lexi?). These too, in their larger manifestations, are smooth and compliant servants rather than machines with which to take on 120 kilometres of coast road for the fun of it. Sobering Thought: At 20 miles per gallon, the Thesis has a touring range of 333 miles. From Rome to Cap Ferrat would require a stop for fuel after 5 hours. Concluding ruminations: Mr Robinson’s determination to avoid offering hostages to fortune failed at the first hurdle. By aiming for classicism the Thesis was immediately marked down as retro-design as were Rover’s 75 and Geoff Lawson’s Jaguars. I mentioned that the car was slightly smaller in most dimensions when compared to the 1999 Mercedes S-class. The Lancia is unfortunately taller, to the benefit of headroom but to the detriment of appearance. The car looks slightly too short which is a huge pity as the car is in fact, actually very big indeed. The very plain side elevations (the c-pillar is the weak link) and the odd proportions evoke the 1960s Flavia but this is such an odd reference. I doubt it was intentional. When shaping the bodysides I presume the designers were hoping for cool restraint but instead achieved banality. How you feel about the car’s appearance depends on which angle you view it from and whether you are sitting inside it or outside it. From the inside it’s simply lovely and says ‘Latin luxury’ without making you think of 1980s Maseratis or the Renault Safrane Baccara. But to get inside the car you have to get past the exterior, which presumably many people failed to do, even if they were only shown the front, its best aspect. It’s the inconsistencies that puzzle: the striking front and rear contrasting with the Hyundai body side; the cast magnesium cover for the CD loading slot, not four centimetres above the fiddly flimsy lid of the tiny ashtray; incredible thought was put into the lovely details like the rear lamps and grille but the car’s proportions are just noticeably wrong. Perhaps this is because as a statesman’s car the need for maximum interior space trumped the requirement for supreme elegance. But if it was packaged as a statesman’s limousine why are there are no reading lights in the rear c-pillars and why is there not one single cigar lighter for the rear passengers? Dynamically, the Thesis offers very good refinement and a generous turn of speed. And thus it lands between a few stools. It’s not as refined as a Mercedes E-class. It’s not as sporting as Jaguar S-type. Volvo’s S80 catered very well to the driver unconcerned with dynamics. For Lancia enthusiasts expecting sportiness, the Thesis is too smooth and aloof and not fast enough. For Lancia enthusiasts expecting the cerebral satisfaction of a car with palpable mechanical character the Thesis is too distant and inscrutable. And finally: Perhaps it would have been better if the Thesis had been a car in the Mondeo class, rather than trying to offer S-class size for a less than E-class price. Think of it like this: if you want a better class of Mondeo, you are forced to choose a sporty German saloon. But what if Lancia had offered a more comfortable, more pleasant alternative? For the Mondeo driver, half the refinements of the Thesis would have been enough, so long as the car was at least as good to drive. And taking five percent of the C/D market might have been a lot easier than trying to take sales from the sector dedicated to serving Europe’s richest, least imaginative and least interesting people. Considering the car as it is, rather than what else it could have been, it is a fine thing: well made, extremely comfortable and very well equipped indeed. It is even charming in many of its details. It’s when you triangulate the car against its peers and betters you realise that Lancia simply did a very fine job of making the wrong car. Rear track: 1541 mm; front track: 1569 mm. Fuel tank capacity: 75 litres. Fuel consumption, claimed 31 mpg on tour, combined 20 mpg. Tested Feb 6th 2011. Conditions: dry, windless, 2-4 degrees. Ergonomics: test driver is 5´ 9″, 70 kilos, 50th percentile male (height). Note: If you like this article, please feel free to post a comment below. Have you driven a Thesis? Did you find out what you wanted to know? Or just say what´s on your mind concerning Lancia´s sad demise…. You are one of a constant stream of daily visitors to this page so share your views with your fellow Lancia enthusiasts. Thanks for calling by! Is the car conservative? It is retro but the styling was not reserved. Since there are so many saloons with sporting pretensions the decision to provide something different was to be applauded. The car had plenty of muscle to do some asphalt ripping which is great if you really have to press on. However, the demeanour of the car is more about comfort and refinement. The more I think about it, the more puzzled I am that it didn´t get at least sales of 50,000 units worldwide. There just isn´t that much that is so wrong with it. Some of the reasons for failure are not intrinsic to the car but reside in Lancia´s marketing strategy and perhaps their dealer network. If someone can tell me how well the Citroen C6 sold I´d be pleased to hear, the C6 being at least as outré as the Lancia and not too different in pricing. We can conclude that the market is very intolerant of what are, to be objective, very small variations from the norm. I must say that I could have written something slightly different a week ago and I could write a review with another angle next week. To attack myself, I have conflated judgments of the car from a marketing point of view with judgments of the car as a thing in its own right. The reasons for its market failure (it was the wrong car) are not reasons to criticise the car as an ownership proposition. The idiosyncratic styling could be seen as a plus and they are certainly not so odd to permit one to say the car is objectively bad. Objectively, the worst things about the car were trivial: small ashtray, absent reading light, slightly severe fuel consumption (but it was the V6). 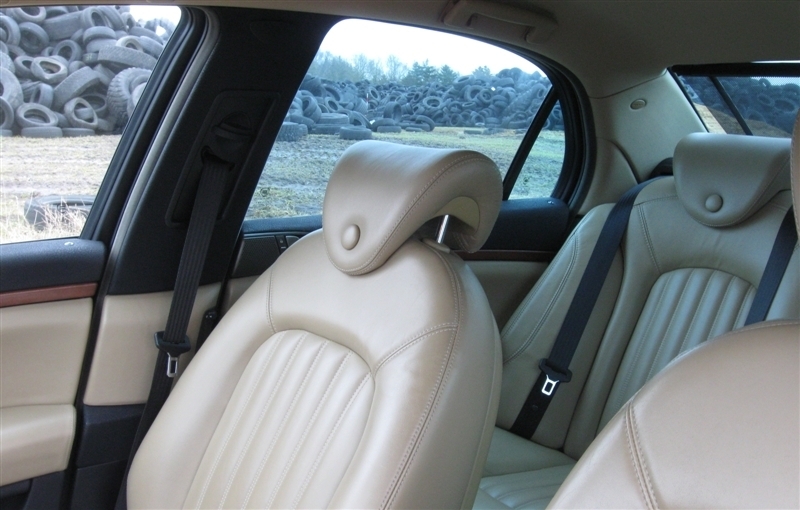 The build quality was fine and the seats comfortable and the ride quality superb. Was it a driver´s car? No. Did it have a “personality”? No, it had features and competence. So, perhaps I should rewrite the review and leave out all the marketing philosophy. The aftermarket wheels were horrible but the ride was still good. I imagine running on Lancia footwear the car would be even nicer. And a few years later the Fabrica Italiana Automobili Torino has turned into Fabrica Americana-Europea Automobili Londra. I’m rather certain Stephen Bayley isn’t all that proud that his observations have proven to be quite so prescient. I’m baffled, and not just regarding the automotive sector, how as resourceful a country as Italy could end up on the receiving end of the effects of globalisation. I don’t quite grasp the chief designer’s strangely negative statement at the launch “People will be looking for excuses not to buy this car. So, we wanted to be damn sure we didn´t give them anything to hook onto.” Unless Mr Robinson was speaking in Italian and suffered a poor translation, did he not realise that many people would still have been looking for excuses to buy a Lancia, being frustrated that Fiat hadn’t given them any for many years? Actually, Lancia gave them a pretty decent excuse to buy, and 16,000 sales must have been a great disappointment. Whereas it reflects more on my terminally immature personality than the efforts of Mr Robinson’s colleagues that, whilst still conceding that the Thesis is by far the better car, I’d rather take a Thema 8.32 over this, what I don’t understand is the many people who are more mature, disciplined and responsible than me who were too brainwashed to realise that this, and not a hard riding BMW or S-Line Audi, is what they would have been be happiest driving. I’ll write a more thoughtful response to this excellent piece of writing later, but in response to the question re C6 sales, the answer is 34,592 according to Citroenet – which is quite a few more than I had thought. Nevertheless, it’s a dismal sales performance over almost 7 years, and, even though the retail price of the car was high, every car must have cost PSA a significant loss. It is not a surprise to me, being an owner: it’s just so left-field for today’s market/ consumer, and inferior in many ways to the more mainstream (mainly German) competition, but full of “character”. Car actually put it well – maybe a little generously – in the GBU – like a French Blue Cheese – repels and attracts in equal amounts. SV. If you consider that the SM, generally seen as a commercial failure, sold over 13,000 units in less than 5 years, despite being comfortably over twice the price of the most expensive DS, the C6 figures are very disappointing. I do like the C6 and, in part, I’d say the poor sales reflect as badly on the unimaginative, pack-like behaviour of punters as on any shortcomings of the car. However, the suspension of relatively recent hydractive Citroens is confusing. You would think it would be far more feasible to sensitively control a wide range of ride and handling set-ups using hydraulic valves, sensors and electronics, than it would on conventionally sprung cars. Yet the results don’t seem to bear that out. I’m sure Citroen’s current engineers are skilled, but they need a brief from people who have some passion or insight in the field, which I suspect has been long lacking at PSA. Both the modern Citroen and the modern Lancia seem like fuzzy interpretations of their forebears, created from a third generation template where essential details have been lost in each transcription. A bit like Liam Gallagher thinking he was John Lennon. As a long-term fan of Lancia ( some of my first toy cars were Stratos and lovely safari-type Fulvia ), and other quirky and unusual cars, I was rather surprised to get a chance to use a Thesis 2.4 petrol manual for a month. It did 25,000km in five years, as a fifth car in a family, and still had that new car smell. I did 600km during that month, mostly on highway and I must admit my impressions are somewhat mixed. Considering that it came in same body colour-interior colour/material combination as our Peugeot 406 SVDT 2.1, a comparison was almost inevitable. 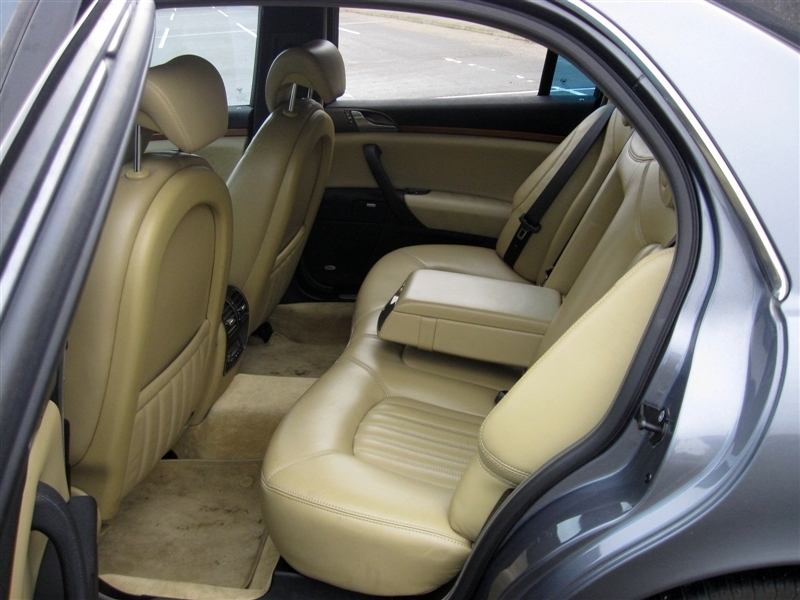 For starters, engine somewhat lacked low-down torque to move such a heavy car, front seats didn’t suit me at all (but, I do have strange proportions and rarely find a car seat that fits me…) and it didn’t really feel more luxurious than 406. Back to Thesis…it felt slightly cumbersome, perhaps even too large (and I used to drive Sprinter van, so big vehicles don’t scare me! ), never really feeling any benefit of that famous Skyhook suspension. (wasn’t even sure if it had been there at all!?!). It had standard wheels (could have been 16′, don’t really remember…but sidewalls were tall than car in this test:) ) Again, 406 felt light, darty, compliant, much smaller by comparison. Bells and whistles were there, and worked fine, but novelty worn off after first 200km. After that, I was mostly focused on 6-speed gearbox (first time I used it,… so after first downshift from sixth to third, luckily at really low speed, I took extra precaution not to repeat same mistake again! ) and just taking extra care not to put a scratch on it. But every one that took a ride with me was very impressed, in fact so much that few people said it would be perfect wedding limo! The 406 is a hard car to beat. I know it well. The size is perfect and it is remarkably smooth. The seating for the driver and passengers is superb. Following that, the Thesis is bulky and remote. My feeling is that Lancia should have made a smaller, C-D class car like the 406 and matched its driving character. It would have been more affordable and a novelty in a less status-conscious sector. A V6 406 does everything a Thesis does but is more wieldy. However, having been invited as a long-term 406 owner to the test of facelifted, 2.0 HDI model, I was quite surprised its controls felt quite heavy comparing to our car. Like they tried to make it more sporty, tighter, harder…really, I believe it was unnecessary. I have no experience of the Thesis short of seeing one parked in Florence one time. My initial thoughts were that it certainly was more impressive in the flesh than in any photographs. Having owned and driven a Trevi and a Thema I am well accustomed to Lancia’s engineering foibles and understated elegance. It has always been my opinion that to buy a Lancia one must first be willing and capable of thinking outside the box. The Thesis has refinements that go unnoticed by the vast majority of the public. I would be happy to own one but for it’s non availability in right hand drive. It’s a pity that car design has slowly followed the white goods route where cost and performance greatly overshadow individuality. The Thesis should be applauded for what it is, a unmistakably uncompromisingly overly designed car. Thanks for stopping by Fintan. It has occurred to me that (as far as I can recall) I have never seen a Thesis in the wild. I suspect they look a good deal more imposing than they do in static photography. Nevertheless, it remains a car I’d like to drive (or travel in) more than admire from afar. A question: As a (former?) Trevi and Thema owner, are you inclined to view the Thesis as less or more of a Lancia than the duo you have owned – or is that an unfair question? Yes, there’s something wrong with the Thesis. You miss out the Kappa, two of which I’ve had so far. Utterly reliable — unlike all French cars — ask your friendly breakdown wagon driver, he knows. And I have memory heated seats, and a C-post reading light and fag lighter terminal accessible for rear passengers. And rear screen sunblinds but you have to fiddle them up manually. The boot’s 500 litres, in a car appreciably shorter and narrower than Thesis. I grant we have plastic wood. Hardly marketed, as Fiat “luxed up” Alfa’s bigger model, whose 3.0 V6 is much the same as mine. Kappa has smoothish ride, but many are as good or better. Would love Skyhook, which works on the Maserati. The Kappa estate has self-levelling rear suspension, at £400 a pop to replace, and clever storage layout in the back. And as for the Kappa coupé, that’s a superior car with its SWB still allowing the 500L boot, and prices hold up — I can get a cheaper Thesis. The 2.0L turbo engine is still the fastest regular production Lancia ever, in either 12v or 24v. And the window comes down a bit for opening/closing the doors. But now I’ve seen a BMW X-whatever number which opens your door a couple of inches on remote unlocking. In the flesh Thesis looks a lot better, maybe because you can’t easily take in all its ungainly bulk in one view. And have chatted to owners, who do huge mileages happily. Doesn’t self-park, like some Deltas –which has been another expensive mistake with a disproportionately long wheebase. The only success they’ve had is little Elefantino, nice at a price. Part of the problem is political: Italian statesmen must have an Italian conveyance, so it’s longer inside than it would otherwise need to be. And they rarely need to go fast, so it doesn’t matter that Thesis is woefully under-engined for actual owner drivers. 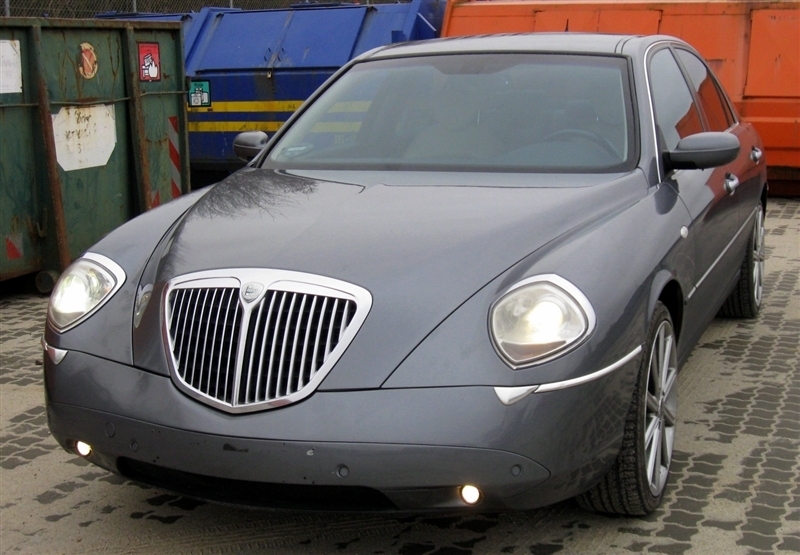 The lack of ostentation has often been a Lancia feature: remember the lovely 2000, a miniature Rolls of its time. Now all surpassed by the XF, beating all the pretentious characterless Germans. Don’t knock the Safrane Baccara, a gem. But then I thought Vel Satis was fun too. We have a few Kappa articles here plus a Trevi test drive. I had a look at the Kappa as a used car but they are too old (my wife wants hundreds of airbags) and the three on sale here are a bit leggy. I have my eye on a Delta: it’s the right size and has a decent boot. What’s wrong with the Delta’s wheelbase? It’s exactly what makes this car unique and gives it very elegant proportions. Not your everyday Golf-clone hatchback. The only thing you could criticize is that it’s placed right between the usual car segments which might have contributed to the difficulty of selling it. But as Richard says, for people who don’t need a saloon and want something slightly bigger it’s perfect. The Delta is only 10 cm shorter than the Peugeot 406 and has the same luggage capacity. Cars after the 406/Laguna2/Mondeo2 got too big. It’s a distinctive car in a market of good but very similar products. The Golf/Focus/Astra trio are all good in (slightly) different ways. There’s no mistaking a Delta for anything else, inside or out. In many ways I think FCA suffers from Roveritis, which is to say that, while they have people in their ranks who are individually talented and work hard, management is fundamentally an inept cancer that continually enables a deep-seated culture of close-enough-is-good-enough. The truth is that FCA is simply not a serious company in the way that a Toyota or BMW are. The Delta, in fact, is a good case in point. I think the styling has held up well – it was an influential design for its class and considering the constraints put on the design team, that is no mean feat. But the devil is in the detail. This might seem like a small thing. But in fact, it was a big thing, because it speaks to the seriousness of the whole enterprise. If you are that slapdash about the quality of the cars that are supposedly relaunching the brand and being gone over by most of the world’s motoring press, how serious are you going to be about production cars? The Delta was not an especially cheap car at launch, but the detailing simply didn’t support the price point, because the budget was simply not made available for it. It’s one of those cars that looks worse the closer you get, because things like the grille and doorhandles look like the cheaply-made plastic pieces they are. It’s a shame, really, but almost duty-bound to be that way, because it is the inevitable result when management is utterly committed to, and only to, facilitating PowerPoint presentations and balancing account ledgers. Oh dear. I am considering buying one. I wouldn’t; still overpriced. I was dead keen on this before launch, but disappointed the more I got to see of the cars. Its best feature seemed to be you could stand up with your head out of the sunroof and let it park itself. But that, and almost everything else you might have wanted rather more, is an expensive option. I think this applied to the sliding rear seats which I’d have found a boon on two-person long tours. What really got me, apart from cheap materials described by previous poster, was that the wheelbase was too long for decent handling. I kow you can say it was good to get away from the rigid segment definitions, but it doesn’t really work with today’s herd mentality. There was a time when Lancia could go against this with flair — no longer. But today’s news may mean the Chinese will buy Fiat-Chrysler (will Trump allow?) so I’ll be having to buy spares now in case the supply dries up completely. Hello Vic: thanks for the insight. The Kappa is one of my preferred choices. However, I am not the only user and have to compromise. The reviewers were happy with the car´s materials. I am not *very* concerned about handling as the car is to be driven in Denmark where it´s all about rigorously enforced speed limits. I drive on cruise control most of the time. 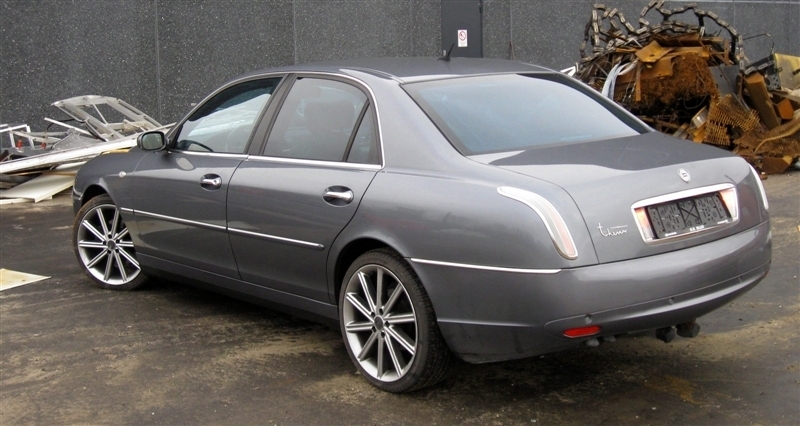 I like the long wheelbase in that it affords a lot of rear leg room, something I set a high price on. Richard, I’ve driven in Denmark too. I’m not really happy recommending a Kappa for you as I don’t think it would be v economical in that environment. (I never drive diesels.) You’d have to fit your own cruise control: I’ve never seen a Kappa with it. Lybra might work, but is rare. Has more modern suspension, probably enough airbags — just maybe enough rear legroom. Boot not vast. Oh, and I always choose a car after ensuring I have a mechanic close enough to service/fix it. Let me know what you think of Lybra idea — afraid I don’t have time to check now. Some Kappas have all the airbags, maybe only 2000 year Coupés, which will cost a bit for low mileage — they were so good people did use them a lot. But it’s a bigger car. I looked into the Lybra. There is a leggy one for sale in Kolding. It’s been on sale for months. The rear legroom is disappointing, I have to say. Otherwise a pretty decent car. There are no saloons – the Kolding car is an estate. Life would be easier if I could buy a car from outside Denmark without the mystery of the import (“registration fee”) tax. With all that in mind, the Delta is available, not too high a mileage, spacious and nigh on unique, airbagged. Bloody expensive too. Richard, first I don’t understand yr import problem: thought DK in the EU, no? What price and year a possible Lybra in, say, Germany/Poland? And what price and yr DK Delta ? Lybra legroom depends on how far front seats are set back, of course. Most factory pix set them right back to give attractive spacious front cabin look! Best go and play with one. After looking more into Lybra, I might swap out of my Kappa for one — not too expensive here in France, more manouvrable as I age, and an auto box, but only on 2.0L when 1.8 would probably do me. Saloon far better rigid structure than SW. Has to be LX: base model a bit mean. The import “problem” is twofold. One, there are hard-to-fathom registration fees when the car arrives in Denmark and secondly, domestically, my Danish wife has a very, very strong preference for a locally bought car as opposed to one from outside Denmark (which is in the EU). The Delta I have my eye on is correctly priced for the local market: a huge, huge sum of money which is €8000 plus the Danish registration “tax”. Seriously, don´t ask. It´s a frightener. I will be looking at the car tomorrow. By the way, are you part of a Lancia forum as well? A quick look at Lybras wíth under 70,000 km shows them to be a) marvellous as saloons b) rare and c) all in Italy which is domestically a complete no-go. But €3000 gets one a very tidy dark saloon with a tan hide interior. What a lovely car. Sadly, I think I can write that idea off. I notice low mileage Kappas are still worth a lot. The market has belatedly discovered what excellent cars they are. While I admire your wife’s preference for supporting local Danish enterprises, I’m not sure you’ll be spending enough for the actual financial benefit to them to be very much. There are probably enough Lybras in nearby Holland and Germany to get an idea if it’s the model for you. I’m not knowingly on other car forums; used to do Viva Lancia! years ago. Low mileage Kappas are rare, and usually coupés and as you say, holding or increasing prices; mine is a very rare 6ok km berlina, ordered for an Italian mega corp director. True to tax-avoiding stereotype, they got a base model, then loaded it with nearly every extra to get an LX spec without paying the extra tax for it! So I paid a lot for what was a 15-year-old car that looks like a slug, but has complete and comprehensive history. Probably wouldn’t get now what I paid; don’t mind; does what I got it for. The auto box is “intelligent” — remembers how you’ve driven and constantly updates to what you’re doing now. Love it. Lybra has that too, but adds another option, switching to fully manual too. Going back to Thesis, which was where I came into your nice site, if they’d just scaled up Lybra to limo size and added Skyhook it would have done far better. Both used input from the Dialogos concept. Danes are highly risk averse. Buying “abroad” is seen as risky. That, rather than a concern for the economy, drives the preference. The Lancia range needed a car between the Lybra and Thesis: I suppose Lancia thought an image-building large car was the way to go. Apropros of nothing, I was recently in Belgrade and Lybras (especially SWs) seem to be popular amongst the taxi brigade there. On the topic at hand, the thing about the Delta is this. It will fit the ‘modern car’ parameters that satisfy your wife much better than even the Lybra and especially the Kappa – it has cruise, is much safer, and so on. As a modern, practical, conventional car with a lot of legroom and a bit of distinctiveness, it’s a perfectly reasonable choice. But with that said, it won’t feel as distinctive as a Kappa or a Lybra, because the engineering freedoms simply weren’t allowed to drag it too far away from a Bravo. I quite like the Bravo so this isn’t really a criticism from my side of the ledger. But it is something to be aware of nonetheless. In any case, my point about the launch cars was more about highlighting management more than engineering incompetence – it is literally impossible to imagine Piech allowing something like this to occur. I would note that regarding reviewers’ impressions of materials, you might notice they tended to go out of their way to point out how nice the seats are etc etc, usually adding an addendum like, “which means you don’t notice the dashboard plastics”. In truth, actually, for me it is not really the plastic quality so much as the chosen treatment that I don’t care for – the silver-spray radio/infotainment slab on most models I personally find pretty unsightly. There is a piano black finish on expensive ones that makes a world of difference, but I’m going to guess they sold approximately none of these in Denmark, and any that may exist are prohibitively expensive. The cheap materials on the outside, I would say much the same about. As the reviews of Skodas and Hyundais from the 1980s would say, they get the job done. But they just look and feel cheap, and in that way, they undermine the pleasure I take in the car. If you can live with that, though, it sounds like a good car for your requirements. Today I viewed the Delta. Report to follow. You do not have to master marketing to know that the unconventional design of the headlights was reason enough for plenty of potential customers not to buy the car. You simply not succeed in selling this kind of refinement to mass customers. Ask at VW how well they’ve understood this and why the VW Golf is such a success. This said, the beautiful front design would be one of the main reasons I’d buy a car that would set me apart from everything else on the streets. But as we know also most of customers which can afford this sort of car do not want to stand out too much from their peers driving around in boring Mercs and BMs..